We simply think of Saul of Tarsus and his dramatic conversion on the road to Damascus. In the sight of the religious Jews, his way of life was blameless (Phil. 3:4-6). But in the sight of God, he was a wicked man who was persecuting Him (Acts 9:4). As a persecutor of the Church, it was understandable that the saints had difficulty in believing that the wicked persecutor has been saved and now is a saint. His wicked life was turned upside down by God and he saw that his righteousness through the law was worthless. When the Lord saved him, He gave him “repentance unto life”; a beautiful phrase coming from Acts 11:18 which means that repentance is necessary, and in fact, it leads to true life in Christ. The paragraph does not mean that only those who are “at riper years” and are manifestly wicked are granted repentance, rather the point is, if these people are called by God, anyone and everyone should repent and turn to God. As Dr. Waldron also notes, this paragraph is written against those who would say that only if you had a dramatic experience of repentance, you are saved. There is no question that the Philippian jailer and Paul had a dramatic experience, but countless millions have not had a dramatic experience, yet they have repented, been saved and walked since then in a life characterized by repentance from sin. Christians can testify that they sin daily and seek God's forgiveness for known and unknown sins daily. But sometimes we fall into greater sins. It is a greater sin to commit adultery in actuality, than in the heart, obviously. Both are a sin, but one is greater than the other. It is a greater sin to murder someone than to merely hate someone. It is possible for Christians to fall into the “greater” sins. There have been believers who have committed adultery, been involved in sexual immorality, stolen, cheated and done other things which God has forbidden. They have fallen into sin, but they have not fallen beyond recovery...if they truly were believers! This is the test of true believers: a true believer will always be brought back to repentance by God. It may take days, months or years, but the Shepherd will not lose any of His sheep and will seek them out one by one. We may sometimes think too highly of ourselves and our ability to overcome sin, and also think too lowly of the remaining corruption in us and the fallen world around us. With such a mindset we leave ourselves open to Satan's attacks. We may think “no, not me” and “I will not fall into that sin”, but we forget about the “power and deceitfulness of [our] corruption dwelling in [us]” which makes it all the more easy for us to fall into sin. God would be just and holy if He were to abandon us the moment we sin again after being in Christ and leave us in our sin, yet as our Father and the faithful covenant God, He will not leave or forsake us even in the midst of our sin. The great Gospel promise is that not only are all our sins punished in Christ – past, present, and future, but also that we should seek forgiveness from God and man every day and may experience forgiveness every day. 1 John 1:9 is crucial in this discussion. 1John 1:7-9 But if we walk in the light, as he is in the light, we have fellowship with one another, and the blood of Jesus his Son cleanses us from all sin. 8 If we say we have no sin, we deceive ourselves, and the truth is not in us. 9 If we confess our sins, he is faithful and just to forgive us our sins and to cleanse us from all unrighteousness. This is a passage and a promise that I cherish, knowing myself to be a great sinner and Christ the Lord my great Savior. In this passage, we are commanded to walk in the light and have our life patterned after Jesus’ own perfect life. But then John, knowing the nature of man, reminds us that it is an impossible task to seek to walk like Jesus and not sin in our present state. Therefore, he refutes those who would seek to say that it is possible for Christians to be sinless by saying that the truth is not in them, i.e., they are not Christians. In other words, those who claim that they are sinless are not Christians! Rather than hiding our sin and saying that we have no sin, we should all the more confess our sins to God. When we confess our sins we should also seek to flee from it. We seek to turn our back upon our sin. We repent of it. It is not enough to merely say that “I'm sorry for my sin”, but committing the same sin the next moment or the next day without feeling guilt and sorrow about offending God and breaking His holy law. In the confession of our sins should also be the commitment to repent of our sins—to turn away from our sins. We do not merely say the words, but also seek to walk in a way as not to fall into sin. We seek to hate our sin and stand fast in the spiritual war to resist and overcome sin. If we fail, then we go to the Lord and confess our sin and seek again, by His grace, to overcome our sin and have the victory over our remaining corruptions as much as possible in this life. The phrase “faithful and just” is amazing. God is faithful because He is our Father and He seeks to bring us to salvation and to a harmonious relationship with Him. He is the covenant God who has committed Himself to His subjects. But He is also just, but how can this be? Proverbs 17:5 says “He who justifies the wicked and he who condemns the righteous are both alike an abomination to the LORD”, how can God justify me and cleanse me of my sin and not be an abomination to Himself?! The answer is: the Lord Jesus Christ. God does not forgive us by overlooking our sins, He forgives us because our sins have been forgiven in Christ who took them upon Himself on the cross (2Cor. 5:21). Our sins have been dealt with 2000 years ago, but we experience that forgiveness which was obtained for us on the cross through daily confession of sin. God is just because He punished Jesus Christ who was the Substitute who bore our sins upon Himself. He punished Someone who “became sin” and God is therefore perfectly just. The glory of the Gospel is the fact that God brought salvation to His people through His judgment upon His Son. Jesus Christ was crushed so that we would not be crushed (Isa. 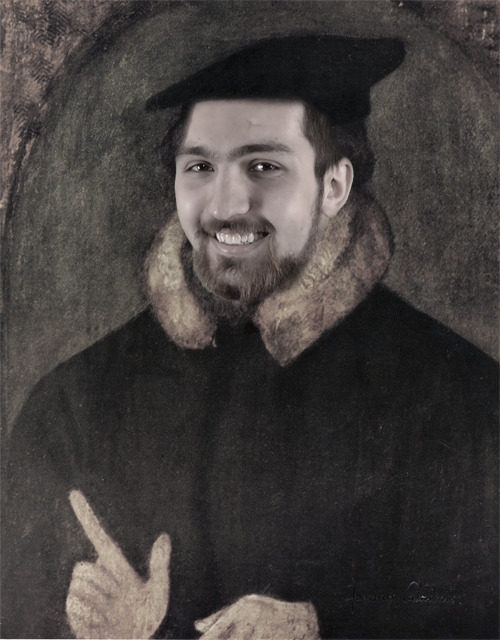 53:10-11). God is just to forgive us because Christ the Sacrifice was offered in our stead and God, having already dealt with our sins on the cross is now shown to be just to forgive us and cleanse us based on that sacrifice. See more in chapter 11:4 on the Penal Substitutionary Atonement. Two great men and friends of God are recorded in the Bible to have fallen into great sin. David, the man after God's heart (Acts 13:22), committed adultery and murdered the husband of the woman. Peter, the one who claimed to be willing to die for his Master (Luke 22:33), denied that he knew Him three times (Luke 22:34). These are tragic and sad stories. We can't help but mourn and pray that we will not fall into situations like this. But the Confession reminds us that in the Covenant of Grace (i.e., the New Covenant) there is always provision for the forgiveness of sins. Both David and Peter were true believers, they fell and were restored unto repentance. David wrote an amazing prayer and a song of confession which is often used by believers for the confession of their sins. In Psalm 51 David prays to God to forgive his sins and create in him a clean heart so that he would not sin and do things which are displeasing to his God. We should not miss the fact that God did discipline David for his sin. The son born of adultery died as a punishment for David's sin (1Sam. 12). Nonetheless, he was cleansed and restored to the joy of God's salvation. Now we finally come to the concrete definition of what repentance is. First of all, it is a saving repentance. In other words, through it, coupled with faith, we are saved from the punishment of our sins. Second, it is an evangelical grace. In other words, it has to do with the Gospel and Gospel-obedience and it is a grace (Acts 5:31; 11:18; 2Tim. 2:25 ). This means that it is God Who gives it to us as a gift as paragraph 1 said. Now we come to learn what this saving repentance consists of. This repentance comes when we, by the Holy Spirit are made sensible of the manifold evils of our sin. This conviction of sin by the Holy Spirit coupled with faith in Christ , moves us to godly sorrow, detestation of sin, and self-abhorrency (2Cor. 7:10-11; Ezek. 16:60-63; 36:31-32). There are two kinds of griefs which 2 Corinthians 7:10 talks about. There is a grief which leads to life and the other to death. The grief/sorrow spoken of here is meant to lead us to salvation and not to death, as worldly grief and repentance do. By repentance, we come to the detestation for our sins and even of looking at ourselves with disgust for doing those things (self-abhorrency). Thereby, we are moved to pray for pardon and strength of grace and endeavour (Matt. 3:8; Luke 3:8; Acts 26:20), by the grace and supplies of the Spirit, to walk before God unto all well-pleasing in all things (Ezek. 36:27; Heb. 13:20-21). We turn away from sin and turn unto God. We do not turn away from sin and then turn to nothing. But we turn away from sin unto righteousness and try to obey God in all things and live unto His glory. That repentance is indeed a grace and a gift from God may be seen in 2 Timothy 2:25 where Paul says that “God may perhaps grant them repentance leading to a knowledge of the truth”. Repentance is thus something that is dependent on and given by God. It is not something that we simply make ourselves do. It does not originate with us, as is the case with faith also. We are given faith and repentance by God and we exercise His gifts. God does not believe and repent for us, but we do believe and repent. Notice also that Paul says that God "may perhaps” grant repentance which leads to the truth to the opponents of the Gospel. Thereby Paul makes their salvation (which is meant by “knowledge of the truth”) totally dependent on “perhaps” God willing to grant them repentance. In Acts 5:31 we read that Christ was exalted “to give repentance to Israel and forgiveness of sins.” From Acts 3:19 we see that the forgiveness of sins is dependent and connected with repentance and therefore I understand Acts 5:31 to teach that Christ the Lord saves and forgives sins by giving repentance and faith (which we here argued for as well). Another text is Acts 11:18 wherein the Jewish believers upon hearing about the work of God declare that “Then to the Gentiles also God has granted repentance that leads to life.” This repentance which God gives His people is not because they deserve it. It is given to them by grace as a gift and it leads to life eternal—it leads to a life pleasing in the sight of God. Now let us look at the different aspects of repentance as described in the Confession. One of the ministries of the Holy Spirit in this world is to convict us of sin (John 16:8). That means that the Holy Spirit will show us our sin. He will make us uncomfortable with our sin. He will bring us to a realization that it is wrong. The Greek word ἐλέγχω (elegcho, G1651) means “to convict, refute, confute” and “to call to account, show one his fault, demand an explanation”. The ministry of the Holy Spirit will make us aware of our sins and make us uncomfortable with it. I’ve often thank God for making me uncomfortable with my sin and putting sorrow in my heart for my sin. That means that He cares for me and loves me and wants to free me and make me abhor my sin. He not only does that, but He points me to the Lord Jesus Christ as the solution. For people are able to have worldly repentance and grief (2Cor. 7:10; Matt. 27:3), but that is not the kind of repentance which is pleasing in the sight of God. Repentance pleasing in the sight of God is the repentance which turns away from sin toward God and embraces His beloved Son in faith. Worldly repentance and grief do not please God because the sinner is only sorry because he has hurt others or hurt themselves by their "mistakes,” but is not grieved for violating the Law of God and does not turn and embrace Christ the Savior. Repentance pleasing to God is the repentance of the one who comes to God knowing that he deserves His just wrath and does not boast in his flesh, but comes solely on the basis of Christ's goodness and grace. We humble ourselves. We do not come to God claiming that we have sinned and now we by ourselves will not sin anymore or abhor our sin. Rather, we come to God knowing that we are helpless and plead only the blood of Christ which is able to cleanse us and restore us again. We come knowing that we in Christ have already conquered sin and that this battle with sin is only temporary and the victory is partial in this life. There is no true biblical repentance which is pleasing to God without faith in Jesus Christ. Any repentance which does not approach God through Jesus Christ is not pleasing to God, for Christ is the only Way (John 14:6; 1Tim. 2:5). See below for the case that both faith and repentance are necessary. When we understand that we have sinned against an infinitely holy Triune Being we cannot be indifferent about it. The greatness of the sin is dependent upon the one against whom the sin is committed. All sins are ultimately committed against God. When we come to repentance there should be sorrow in our heart that we have sinned against the God who has given us His Spirit that we may walk in His holy way, but we have chosen rather to go with sin. There should be sorrow that we have offended the God who sent His Son to set us free from sin and yet we have put ourselves back into slavery. We are sorry for our sins and we hate our sins. We pray that God may blot our sins out of us and that we may never sin against our faithful and loving God ever again. As we fall into sin, our minds are directed toward the life hereafter where sin will have absolutely no residence in us. In Heaven, we will be perfect and sinless...oh what joy! With repentance we confess our guilt before God for the sins we have committed and there is often an aspect of self-abhorrence in us. This is understandable when we realize against Whom we have sinned. We have sinned against the God who loved us from all eternity, chose us, sent His Son to pay the penalty for our sins and sent His Spirit in us so that we may have fellowship with Him. This is the God against Whom we have sinned. We have offended Him and when we, by faith in Jesus, realize Whom we have offended we are obviously disappointed with ourselves. As we confess our sins to God we seek His forgiveness for the sins over which we have godly sorrow and with which we have offended His Holiness. We seek the forgiveness of God based solely upon the work of Christ. We do not seek the forgiveness of God based upon our promises of how “we will not do it again,” but we seek His forgiveness by pointing God to the cross and what He did there for us. We also beg Him, knowing fully that He is able to withhold us from our sin. One of the things that I'm always thankful to God for is that God in His great love for me, has thankfully not left me all free in my sin. The words of God given to Abimelech are a mountain of comfort to me. “I know that you have done this in the integrity of your heart, and it was I who kept you from sinning against me” (Gen. 20:6). I know that God is daily keeping me from sinning against Him in various ways that I'm not aware of and that we often do not thank Him for it because of a high view of the human nature, which is false. God is restraining all kinds of people from sinning in various ways for His own purposes as He is allowing various people to sin for His own purposes and glory. As we seek the pardon of God, knowing full well that we have received it in Jesus Christ (1John 1:8-2:2), we also pray that God may grant us victory against our sins. We pray that God may not lead us into temptation, but rather deliver us from the evil one and his wicked schemes (Matt. 6:13). Therefore, when we pray for grace to overcome our sins and temptations we are making a commitment to walk not in sin, but rather in the way of God. We turn our back against sin and follow God and His ways. It is one thing to have a worldly repentance and grief where you are not sorry that you've offended the infinitely holy God and it is another to have sorrow over offending God, to turn away from your sin and turn toward God in faith through Christ. When we are sorry for our sins and detest our sin because it offends our gracious God, we cannot but have the commitment to abhor and stay away from our sin. We cannot just indifferently think, “yes, I hate my sin and have sorrow in my heart”, but commit the same sin the next moment or the next day without struggle and fighting against temptation. When we repent and turn toward God, we should perform deeds in keeping with our repentance (Acts 26:20; c.f. Matt. 3:8; Luke 3:8). Our deeds do not merit our salvation or our repentance, rather they manifest our salvation and repentance. For example to the one who struggles with gossiping, repentance means being sorry for offending God by spreading rumors and secrets about someone and being sorry also for offending that person himself, maybe even going to confess your sin to them. Now, the works which will manifest your repentance are no longer spreading gossip, but rather restraining yourself from doing that. Rather than spreading falsehoods and rumors, seek to speak the truth in love and for the good of each other. We seek no longer to walk in sin, but walk in the ways of God and to please Him in all things. We seek to resist sin and to hate even the thought of sinning against Him. We cannot simply, on the basis that in some texts only repentance or only faith is mentioned, assume that the other is not required or the other is denied. For we tried to show that both faith and repentance are the two sides of one coin. There is no faith without turning away from sin and toward God. Likewise, there is no turning away from sin toward God without faith in Christ. Therefore, whenever we read of the call to repentance alone, we understand that faith is assumed and vice versa. When the Lord Jesus warned that “unless you repent, you will all likewise perish” (Luke 13:3, 5), we see there the necessity of repentance for salvation, but we do not say that repentance is a work, or that faith is not necessary. We accept both as being the two sides of the one coin (conversion). Both of graces of the New Covenant. Repentance is not an act once performed or a turn once taken. Rather, our whole life is to be a life of continual repentance from sin and turning toward God. This means that repentance is to be continued through the whole course of our lives because this body of death will always produce sin that needs to be repented of. So it is the duty of every Christian to repent of his particular known sins particularly and ask for forgiveness from God for his sins. We may also ask for forgiveness of unknown sins to us or which we do not remember, but the Confession specifically calls us to confess and repent of sins which we particularly and definitely know (we can point a finger on them). God knows that we will not fully overcome sin in this life (1John 1:8), yet He loves and provides for us a way to cleanse ourselves through continual confession of our sins. There is not a sin so great that can separate us from the love of God in Christ Jesus our Lord! All the sins of God's people were placed upon the spotless Lamb and God punished Him for us. All our sins were paid for 2000 years ago, let us seek to walk in that forgiveness which was purchased for us and seek it through continued confession of sins and experience the forgiveness of God through Christ our Savior. The Confession says that there is a provision made for believers in the Covenant of Grace which is repentance and it is meant for the “preservation of believers unto salvation”. Repentance is a gift that God has given His people, not only in the beginning of their journey, but He supplies faith and repentance to His people daily. Repentance is necessary for our preservation as believers. God has given us repentance so that we may be restored to a loving and harmonious relationship with Him. The Confession deems it necessary for repentance constantly to be preached to believers and unbelievers alike because there is no sin which is so great as to hinder someone who is seeking to be saved, from finding Jesus to be a perfect Savior. Therefore, repentance should always be preached to people because that is how they turn to God and because “unless you repent, you will all likewise perish” (Luke 13:3, 5). Repentance and faith must be preached together because it is by the grace of God through faith and repentance that the people of God are saved. a, b Wayne Grudem. Systematic Theology: An Introduction to Biblical Doctrine. (Grand Rapids, MI: Zondervan, 1994). Chapter 35, p. 713. ^ Sam E. Waldron. 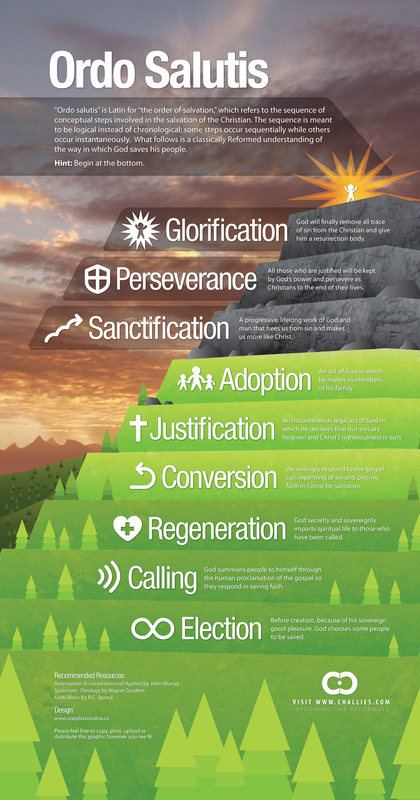 A Modern Exposition Of The 1689 Baptist Confession Of Faith. (Darlington: Evangelical Press, 2013). p. 242. ^ Martin Luther. The 95 Theses.